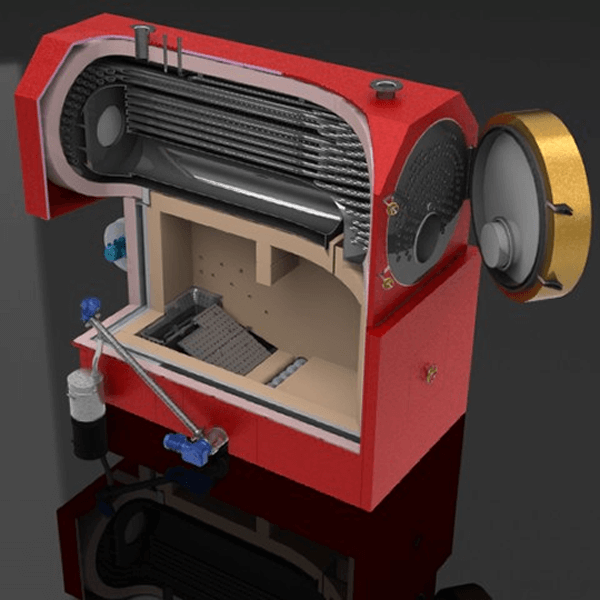 Deposit of waste without the need for countless trucks on your worksite and expensive dumping feeds, all while generating hot water or heating for your spray booth or factory! Over 1000 systems used throughout Australia and New Zealand. 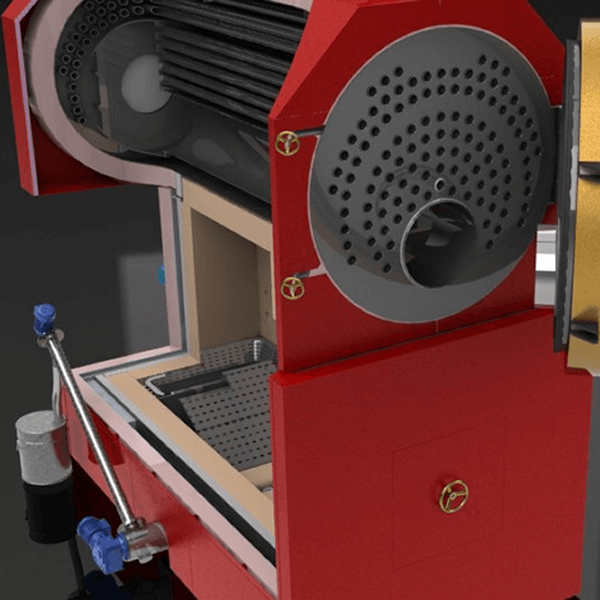 An Airtight heat plant not only allows you to burn your waste, but also generates hot water that can be used for timber drying or space heating. If you do not wish to heat water onsite, the system’s built-in radiators can be used for cooling, allowing you to continue burning your waste. 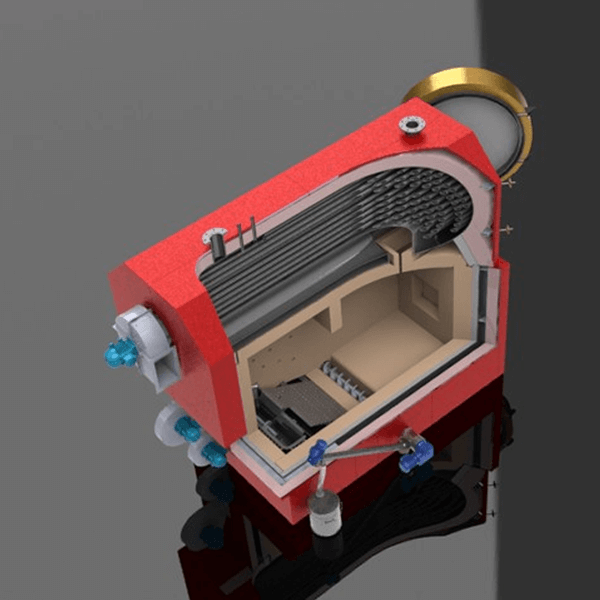 Our heat plants are the ultimate independent waste disposal option, based on the proven concepts that were first tested out in solid fuel fired units over 40 years ago. The under fired stoker and independent underfire and overfire airflow ensures the fire can be controlled accurately and a clean burn is guaranteed. The complete package contains the heat plant, small fuel surge bin, control panel, grit arrestor, hot water pump and cooling radiators, all in the 6m high cube container. Compliant with Australian and New Zealand regulations as well as built locally, consumers can be sure they are investing in a product that is safe and can be reliably serviced. Fuel consumption at 100% output 100kg/hr of wood waste at 10% moisture content. 140kg/hr of wood waste at 10% moisture content. Containerized dimensions 6m long x 2.5m wide x 2.8m high +1m for roof mount heat dump. 6m long x 2.5m wide x 2.8m high +1m for roof mount heat dump. A consistent fuel mix is always best, as this will allow for better combustion. 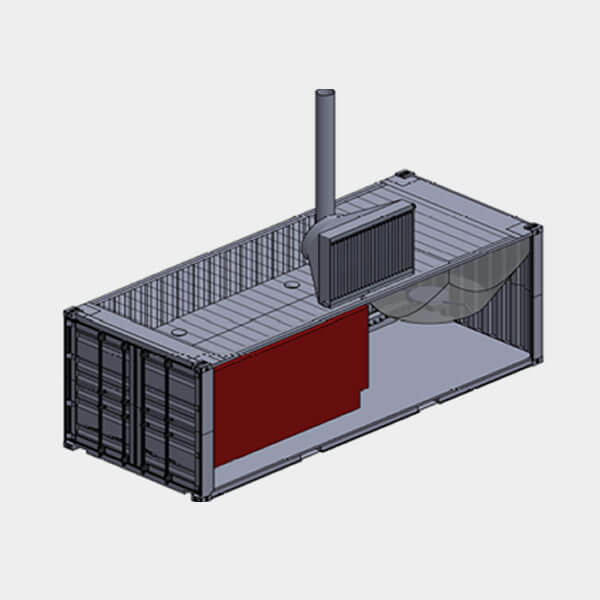 Airtight Solutions also provide larger heat plants, but these cannot be containerised. Contact your local Airtight office for any questions.